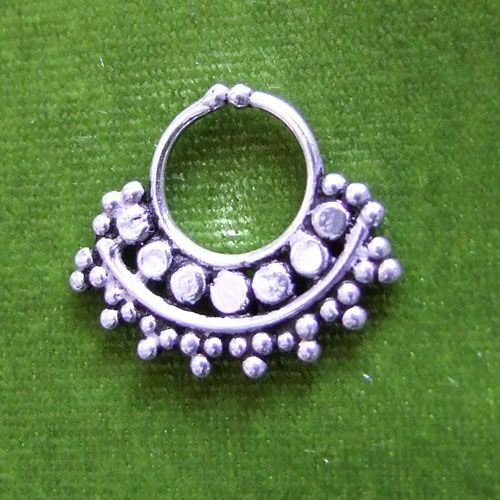 For these nice noserings it is not necessary to have a septum piercing. They can be adjusted to the middle part of your nose. diameter not adjusted app. 1 cm plus silver dots decoration.